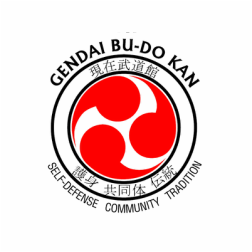 Gendai Budo provides Martial Arts training for the modern martial artist. Based on the roots of traditional Okinawan karate, Gendai Budo offers classes for defense, competitive fighting, as well as general health and well being. The instructors at Gendai Budo provide a wealth of knowledge, skill, and training structure focused on defense and the application of traditional martial arts. At Gendai Budo we strive to embody three principles: Self-Defense, Community and Tradition. Located in the Rogers Park neighborhood of Chicago, Illinois, Gendai Budo provides a challenging yet supportive training environment that fosters the physical, mental, and spiritual growth of all of our students. Most classes provide a gradual increase in resistance as the student increases in skill providing a direct link between daily training and application of techniques in defense. Gendai Budo is also host of the Loyola University Karate Club (LUKC) which meets regularly during the school year. Karate Club meets at the Gendai Budo dojo multiple times per week. Karate Club was founded in 1986 and is now one of the largest and most successful clubs at Loyola. Please click the Karate Club link for more information on LUKC.